In the Indian Premier League 2019 (IPL 2019) match 28, Kings XI Punjab (KXIP) take on Royal Challengers Bangalore (RCB) at the IS Bindra Stadium in Mohali. Meanwhile, Royal Challengers Bangalore have won the toss and have opted to bowl. Both the teams teams have made some changes. Check out KXIP vs RCB live score updates here. RCB are without a win this season and have played six matches thus far. The Virat Kohli-led side is languishing at the the bottom of the IPL 2019 points table. Meanwhile, their opponents, KXIP, are placed fifth on the points table and have won four out of seven matches. KXIP vs RCB IPL 2019 Live Cricket Streaming: Watch Free Telecast of Kings XI Punjab vs Royal Challengers Bangalore on Star Sports and Hotstar Online. This will be the 23rd meetings between Kings XI Punjab and Royal Challengers Bangalore. The head-to-head record is slightly in favour of KXIP with 12 wins while RCB are not that far with ten wins. At Mohali, it has been three each in favour of Kings XI Punjab and Royal Challengers Bangalore. Funny RCB Memes Go Viral Again As Virat Kohli and Co Take on Kings XI Punjab in IPL 2019 Match. Kings XI Punjab Playing XI: Lokesh Rahul, Chris Gayle, Mayank Agarwal, Sarfaraz Khan, Nicholas Pooran(w), Mandeep Singh, Sam Curran, Ravichandran Ashwin(c), Andrew Tye, Mohammed Shami, Murugan Ashwin. 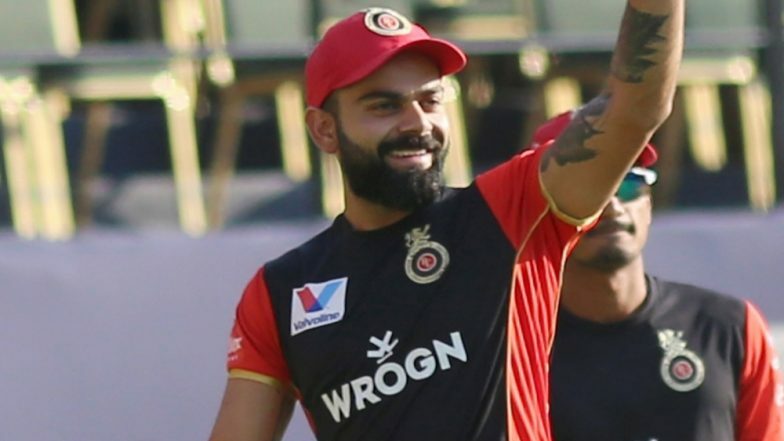 Royal Challengers Bangalore Playing XI: Parthiv Patel(w), Virat Kohli(c), AB de Villiers, Marcus Stoinis, Moeen Ali, Akshdeep Nath, Pawan Negi, Umesh Yadav, Yuzvendra Chahal, Navdeep Saini, Mohammed Siraj.